There’s no question that annuities are complicated retirement tools. Few investors fully understand them. For this reason, as well as the often high expenses and low gains associated with them, annuities are an easy target for critics, according to CNBC. Economists have even coined a phrase for annuity aversions known as the annuitization puzzle. And it’s not just consumers who avoid them. Some advisors fail to even present annuities as options for their clients due in part to their complexity. But there are circumstances that warrant annuity products as a viable choice. And financial advisors are underserving clients if they don’t present annuities as options to extend retirement funds, says Mark Cortazzo, senior partner of Marco Consulting Group. In fact, a 2017 U.S. study, showed that most Americans prefer the security of a retirement option that offers a guaranteed income for life. The problem is, less than half of surveyed consumers were aware that annuities provided that benefit. More than half of the financial advisors in the study had clients who spent all their retirement resources before dying. Almost one-third of advisors saw this happen to three or more clients. The study largely suggests that more needs to be done to simplify language related to wealth-management tools like annuities. Making the retirement process easier to understand is important to help consumers make educated decisions that maximize their financial goals. Annuities can offer effective long-term income streams for retirees wanting to make their savings last. But consumers should never purchase a retirement product they do not fully understand. Getting out of an annuity can be complicated, expensive and thereby exhausting. If you are not certain that an annuity is right for you, it’s important to ask questions. Annuity contracts usually contain disclosure statements or other terms that you will need to know before signing. Provides a guaranteed fixed rate of interest while guaranteeing the principal lump-sum investment. Provides the guarantees of a fixed annuity with the opportunity to earn interest based on external market index changes. Monthly annuity payments vary based on the values of investments like stocks. Annuity payments that begin immediately or within one year. Annuity payments begin at a future date. Interest rate determined by the insurance company to determine the value of the contract; minimum rate that must be earned on investments to retain specified payments. The person who receives payments when the annuitant dies. This is typically a guaranteed specified amount outlined in a death benefit. Usually a period between 10 to 30 days to cancel the contract and receive a refund per contract terms and state regulations. The period during which assets accumulate tax-deferred. Payout option that guarantees payments for a specified time period. It usually includes a guarantee of payments to a beneficiary in the event the annuitant dies before the period ends. Payments cease with the annuitant’s death. Optional benefits that can be added to the annuity for an additional cost. This might include enhanced death benefits, guaranteed lifetime withdrawal benefits and guaranteed minimum death benefits. Guaranteed percentage that benefit base increases annually. Amount paid by an insurance company to the annuitant minus a surrender charge (fee) when a contract is voluntarily cancelled prematurely. Potential risk associated with one’s increasing life expectancy. This is tied to a fee charged by the insurance company known as the core contract charge, which compensates the insurer for the risk. The American Council of Life Insurers (ACLI) is tasked with advocating on behalf of companies that provide products and services to consumers that contribute to their financial and retirement security. The Washington, D.C.-based association is also intended to protect Americans’ annuitized benefits and other annuity payments. Over a decade ago, in 2008, the ACLI promoted the use of a new annuity disclosure template and other disclosure documents to respond to annuity-related regulation. The idea was to give consumers clear answers to common questions about annuities directly in the contract. Things such as how an annuity works, its benefits and risks, and the buyer’s and seller’s commitments under the contract were all included in the new directive to help consumers better understand the complex products. But while disclosures have improved, they are still somewhat difficult to follow. It’s therefore essential to find a provider who will help make the sale as easy and clearly defined as possible. Fidelity, Prudential and Farm Bureau were ranked highest by consumers and experts among the best annuity companies in a 2017 ConsumerAffairs report. In 2017, New Jersey lawmaker Jon Bramnick, said he would like to see insurers simplifying language regarding benefits to consumers. Bramnick was specifically addressing health insurance and other related insurance carriers. But annuity providers would also likely benefit from using the plain language Bramnick describes to explain their products. In the 2017 study named The Language of Retirement 2017: Advisor and Consumer Attitudes Toward Securing Income in Retirement, consumers expressed strong interest in annuities when advisors described their features without referring to the product by name. The study determined that the mere mention of annuities likely puts a bad taste in consumers’ mouths simply due to misconceptions about the product. The online study by Prudential surveyed 1,000 consumers aged 25 or older who already had at least $10,000 in retirement savings. Another 300 consumers with annuities and 400 financial professionals with two or more years of experience were surveyed as well. 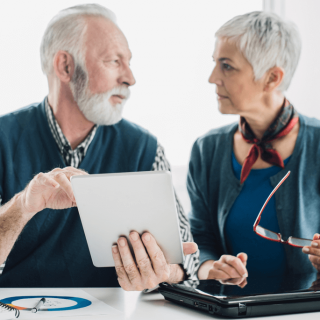 A 2008 publication authored by economists determined that viewing annuities in the frame of consumption rather than as an investment, made the retirement tool seem much more valuable and favorable. The authors concluded that more exploration should be made in this area.